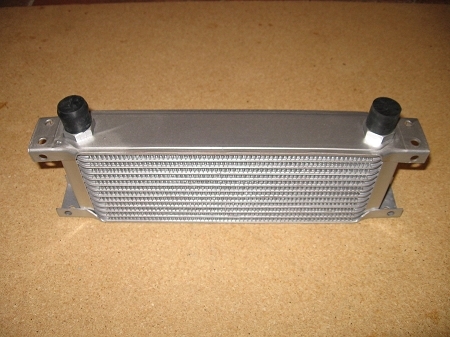 Brand new 13 Row Oil Cooler . These coolers have two male 1/2" BSP (British Standard Pipe) thread fittings as used on most British sports cars from 1955-1981 These are brand new. Don't risk a new engine with an old cooler as used coolers are almost impossible to get clean of metal debris. These are like the coolers fitted on the 1963-1974 MGBs.